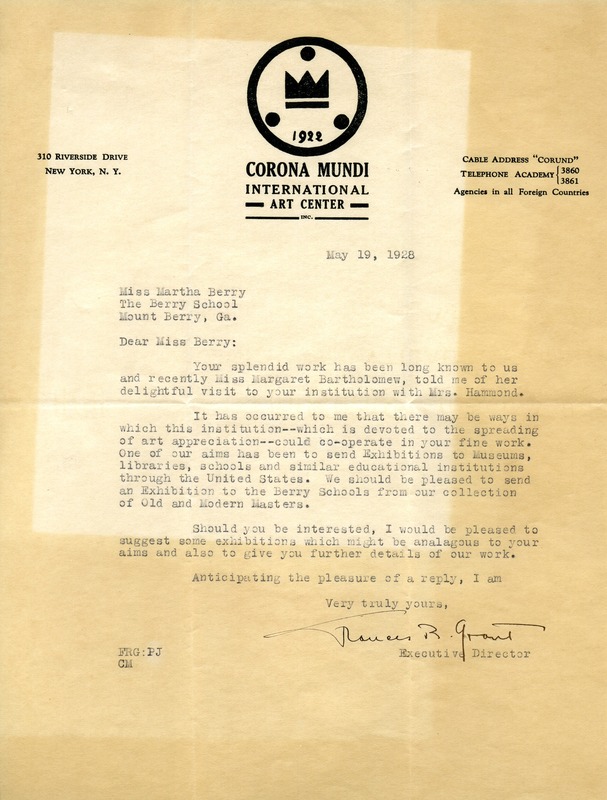 Grant offers that her institution, Corona Mundi International Art Center, could send an exhibition from their collection to the school. Frances R. Grant, “Letter from Frances R. Grant to Martha Berry.” Martha Berry Digital Archive. Eds. Schlitz, Stephanie A., Sherre Harrington, et al. Mount Berry: Berry College, 2012. accessed April 24, 2019, https://mbda.berry.edu/items/show/7059.